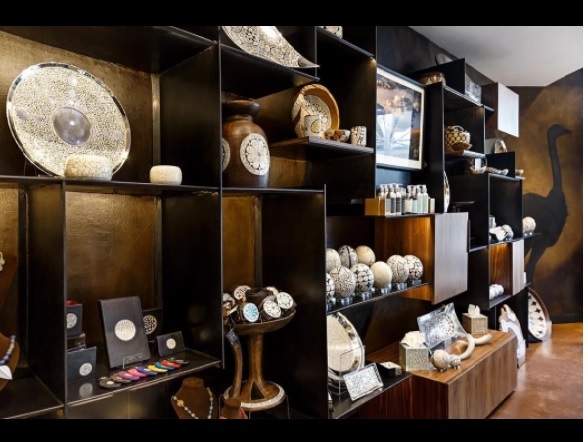 AVOOVA produces exquisitely hand-crafted décor and larger interior pieces, clothed in a seductive mantle of ostrich eggshell – one of the world’s most luxurious natural veneers. 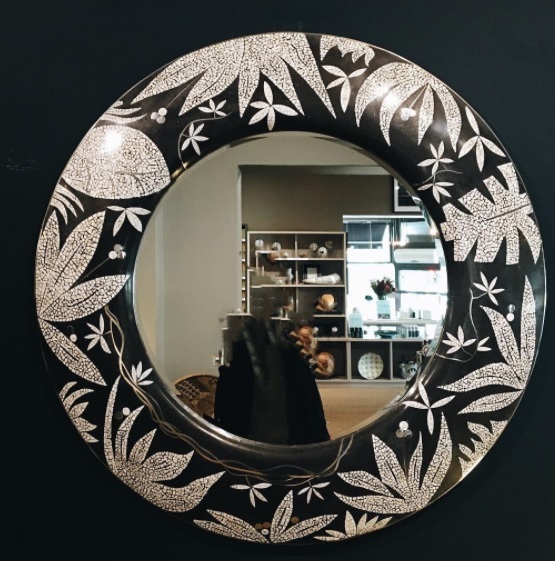 From fine jewellery to refined table tops, all of AVOOVA’s creations pass through the skilled hands of its 50-plus artisans working at AVOOVA’s workshops deep in the remote and beautiful Karoo area. 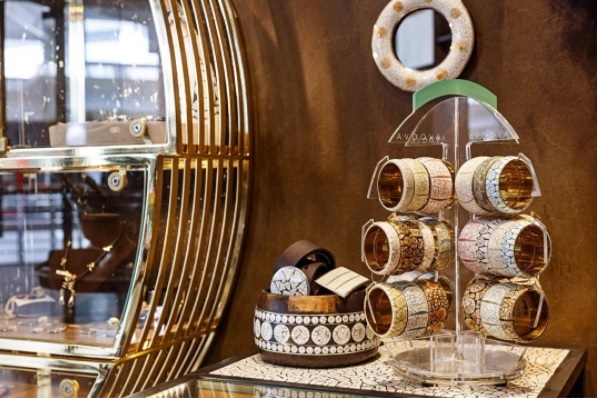 It’s not just the allure of the ostrich eggshell or the designs and the quality of the workmanship that makes AVOOVA’s work so unique and appealing, it is the story. A story about the people of Africa celebrating the beauty of nature. The ostrich is the largest living bird in the world today. The female will lay approximately 70-80 eggs in a year, in clutches of 1-5 eggs at a time but due to the very high mortality rates, most ostrich eggs are incubated by the breeder. functional surface that is both heat and water resistant (within normal domestic ranges). The bushmen of the Kalahari (which borders the Karoo) were the first people to appreciate the qualities of the ostrich egg using them as water vessels over 50,000 years ago. Ostriches and their eggs have inspired cultures and civilizations for the past 5000 years.. 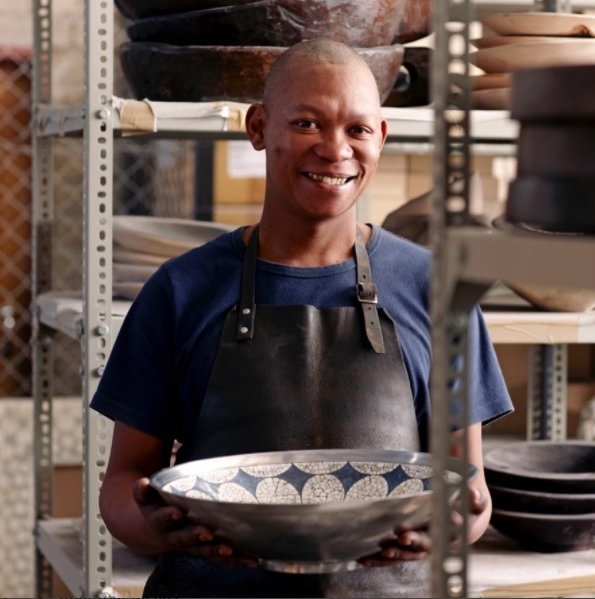 It was this legacy and an appreciation for the eggshell’s natural attributes that inspired Gideon Engelbrecht to start experimenting with the decorative and functional properties of ostrich eggshell in Prince Albert in 1999. Today, it is still the local people of the Karoo that continue the long association between the egg of this indigenous bird and man. 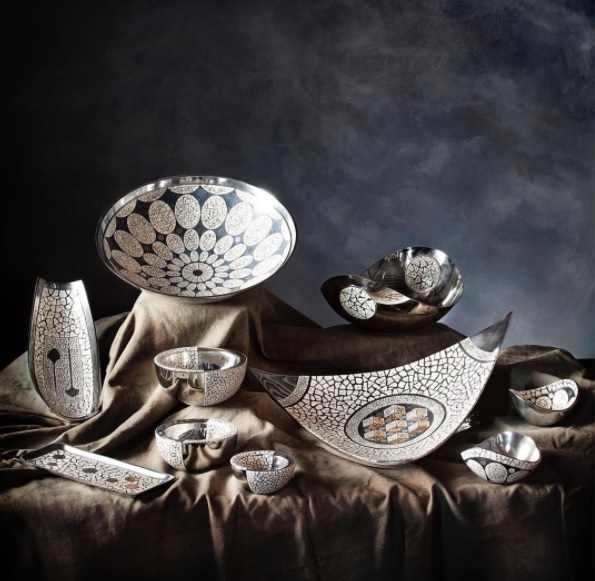 Many of the company’s designs originated in the minds and between the fingers of its artisans. It is that personality, the way the pieces are laid out, shaped and fitted together and lovingly sanded and polished that defines the luxury of handmade products. 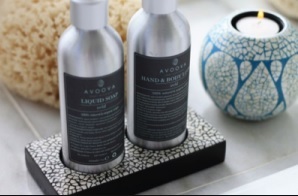 Together with Wild Olive African Artisans, AVOOVA has also created a range of bathroom products using extracts from plants indigenous to the Karoo and South Africa. The room sprays, soy scented-candles, hand and body lotions are all handmade in the Western Cape using natural, organic ingredients, suitable for sensitive skin. These are available in-store only. Ostrich eggshell as a veneer is a 21st century phenomenon and, we would add, this is thanks to AVOOVA. AVOOVA is the largest private employer in Prince Albert, a small town nestling on the slopes of the Swartberg mountains bordering the vast Karoo region. 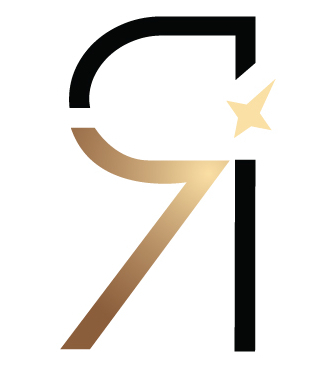 AVOOVA products are exclusively sold in Nigeria by Regalo Luxury.